The multiple impact events as depicted in this story have not happened in recorded history (I sincerely hope they never happen! ), but there is evidence that our tiny planet may have experienced such cataclysmic impacts in the past. As we have ventured out into our solar system, we have seen more evidence of such impacts on the rocky inner planets, and the many moons of the gaseous outer planets. In fact, in 1994, from July 16th through the 22nd we had a ringside seat as comet Shoemaker-Levy 9 fractured into more than twenty fragments and collided with the planet Jupiter. The largest fragment was estimated to be about 1.2 miles across (2 km), and it impacted at a velocity of approximately 37 miles per second (59 km/sec). That’s about 133,200 miles per hour (213,120 km/hr). The energy released was equivalent to 6 million Megatons of TNT! This is about 600 times the estimated destructive energy of the world’s nuclear arsenal. The fireball from this fragment reached about 1800 miles (3000 km) above the Jovian cloud tops, leaving a scar in Jupiter’s atmosphere that was almost 25,000 miles (40,000 km) across—approximately three times the diameter of Earth. There are many links to this event on the Internet if you have a desire for more information. The damage resulting from the impacts in the story was probably not depicted as severely as it would be in reality. Debris thrown into orbit about the Earth would most likely damage satellites orbiting lower than several thousand miles. The space station would not have escaped severe damage at an orbit of five hundred miles. Having experienced the tsunami in Indonesia on December 26, 2004, either first hand, or as most of us did, via the Internet and television, we got a taste of a major catastrophe, but this event only represented a very small portion of what an asteroid impact would bring. Waves from that event were recorded as far away as Nova Scotia and Peru. The waves generated, and the degree and scope of the damage by that event would pale in comparison to the destruction caused by an ocean impact of a moderate to large size asteroid. The possibilities of an impact of the proportions depicted in the story are far from zero. However, they are smaller than the chances of an impact from a smaller extraterrestrial body, only because the smaller ones are more numerous. 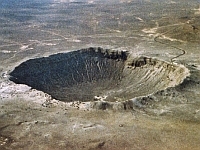 To see directly the destructive force of a smaller asteroid, all one has to do is visit Meteor Crater in Arizona. Fifty thousand years ago, a meteor about 150 feet (46 meters) in diameter impacted the Earth and released an amount of energy equivalent to 2.5 million tons of TNT. Compare that to the destruction caused by the atomic bomb that was dropped on Hiroshima, Japan in 1945, which was equivalent to 18 thousand tons of TNT. The results of this impact produced a crater that is almost a mile wide (1.6 km) and about 500 feet (151 meters) deep. “If one combines the direct and indirect effects of the blast wave, it seems likely that the vegetation would have been almost completely destroyed over an area of 800 to 1500 km2 [309 – 579 mi2] around the Meteor Crater impact site and damaged over an addition area of 200 to 600 km2 [77 – 232 mi2]. Likewise, the megafauna within 3 to 4 km [1.8 – 2.5 miles] of the impact site (or an area of ~30 to 50 km2 [12 – 19 mi2]) would have probably been killed." Note that in Kring’s paper from 1997 he used an estimate of 20 – 40 Megatons of TNT for the energy of the impact. However, as the science has advanced, along with our understanding of the effects of an impact, that number has been revised downward to approximately 2.5 Megatons. The numbers in the quote above are therefore most likely higher than we would calculate today. In either case, one would not want to be nearby such an impact or have it hit a populated area. 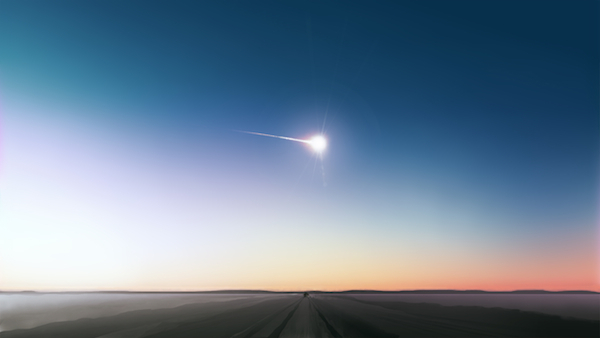 The dust produced by the Meteor Crater impact most likely did not affect Earth’s climate to any great degree and the damage from the impact was localized. This is contrary to the event that occurred some 65 million years ago, when a large asteroid (5-9 miles / 9-14 km across) collided with Earth in the region that is now known as the Yucatan Peninsula. The residual crater was over one hundred miles (160 km) in diameter. This cataclysm is believed by many to be the cause of the dinosaur extinction at the end of the Cretaceous period; although there is currently an on-going debate (proposed by Dr. Gerta Keller from Princeton University) that the extinction occurred about 300,000 years after the impact. A more recent event occurred over Siberia in June of 1908. This 10 Megaton air-explosion leveled trees over an area almost 1000 square miles (2500 sq km). This 10 Megaton air-explosion leveled trees over an area almost 1000 square miles (2500 sq km). There have been other recent high-altitude explosions over the Amazon in the 1930’s, Central Asia in the 1940’s, Greenland in 1996, and a significant event over the Mediterranean in 2002. The last event occurred during a period of extremely high tension between India and Pakistan. If this had happened over one of these nuclear-armed countries, it could have been the trigger to an all out nuclear exchange. So we not only have to fear what Mother Nature can throw at us, but our immediate response to such an event! Since the initial publication of ORBITAL MANEUVERS we have experienced, first hand, this power of Mother Nature. On February 15, 2013 an asteroid about 62 ft (19 m) in diameter streaked through the sky over Chelyabinsk, Russia. The object was moving at a speed of about 12 miles per second (19 km/s) when it hit the atmosphere and exploded at an altitude of about 18 miles (29 km) with a force of over 500 Kilotons of TNT. The resulting shockwave shattered windows and damaged buildings across the entire area, extending 50 miles (90 km) on either side of its flight path. There were over 1200 people injured from the event. The damage would have been a lot worse if it had exploded at a lower altitude or impacted in the city. It is interesting to note that on the very same day of the Chelyabinsk asteroid, the world was watching the close approach of asteroid 2012 DA14, which missed the Earth by 17,400 miles (28,000 km). 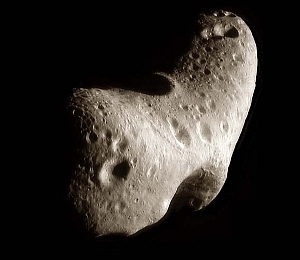 This was a small asteroid, a size that is more prevalent in the solar system, as opposed to the giant “planet killers” of the dinosaur extinction class, which are far less numerous. They are much more difficult to see and track and they can deliver a devastating blow if we cross their path. Current research indicates that we should expect a similarly sized event every 25 years or so. We may not have noticed previous events because 70% of the Earth’s surface is covered with water and there was no one around to witness them. In 2014, the U.S. government released data gathered by surveillance satellites from 1994 -2013 on fireballs resulting from asteroids plunging into the atmosphere. These data indicate that we have underestimated the number of larger asteroids hitting Earth’s atmosphere by 3 to 10 times. The risks are even higher than we had anticipated. A map of these events can be seen at the following link: (http://www.jpl.nasa.gov/news/news.php?feature=4380). NEOWISE (http://neowise.ipac.caltech.edu/) - searching for asteroids using the infrared energy they emit, which is not affected by the amount of visible light they reflect. A large asteroid with a very dark surface may look smaller than a small asteroid with a highly reflective surface. Sentinel Mission (http://sentinelmission.org/) from the B612 Foundation, an independent organization searching for potentially hazardous asteroids (PHA) and developing technologies to deflect threats. Large Synoptic Survey Telescope (LSST) (http://www.lsst.org/lsst/), which is slated to begin full operation in 2022. NEOShield (http://www.neoshield.net/en/index.htm) is a European-lead effort to develop methods to deflect asteroids that are a threat. NEODyS-2 Near-Earth Objects (http://newton.dm.unipi.it/neodys/index.php?pc=0) Italy's contribution to the search for NEO. The older programs were focused on locating objects that crossed Earth’s path and were 1 kilometer (.6 miles) or larger in size. The newer projects, Pan-Starrs and LSST, have telescopes with very large CCDs with higher sensitivities that cover a much larger area of the sky. This will allow astronomers to scan the entire sky several times a month down to the 25th magnitude. (In measuring the magnitude or brightness of a celestial object, the more positive the number is, the dimmer the object is, and the more negative the number is, the brighter the object.) This increased sensitivity will allow cataloging of asteroids of the size of 100 to 140 meters in diameter. Note that current surveys (as of June, 2009) can’t detect objects smaller than 300 meters in diameter. We may eventually map all of the NEOs, but the fact that several relatively close passes (less than the distance from Earth to the Moon) were discovered only after the objects had passed by our planet should make one realize that this threat needs to be taken seriously. This is a problem that affects the entire planet, and as such, the responsibilities to detect, and possibly deflect these objects should be an international effort. Identifying a threat, and incorporating measures to eliminate it are within the capability of our technology today, but we must have ample warning for our response to be effective. We are spending enormous amounts of money on defense programs to protect ourselves from each other, when the real enemy, the one that will change the course of history for all mankind is patiently waiting out there in the blackness of space.